If you find that your conventional wood burning fireplace is too messy or cumbersome for daily use, you may want to consider a gas log conversion . During a gas log conversion, a fireplace technician will be able to convert your existing fireplace into an innovative system that is fueled by gas logs. A company that offers gas logs in San Jose will be able to answer any questions that you may have about the benefits of making the switch from a conventional fireplace. Read on for a basic overview of some of the great benefits that a new gas fireplace has to offer your household. When you light a fire in your conventional fireplace, you may notice that ash, soot, and other particles are released into your indoor air. In fact, a conventional fireplace can be a major source of indoor air pollution in the home. Converting your fireplace to a gas log unit will help you enjoy a cleaner burning fire. Gas logs will release no harmful particles into your air. While building a standard fire can be an enjoyable experience, you may find that the novelty of acquiring kindling and firewood wears off over time. 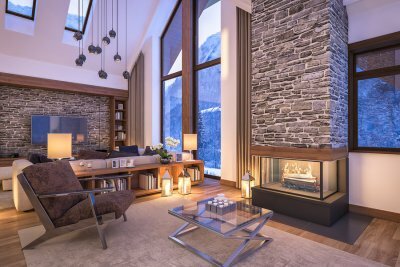 A gas log fireplace will allow you to start a toasty fire, all with the mere switch of a button. Some gas fireplaces even contain remote control systems, which allow the user to ignite the fire from across the room. Purchasing firewood throughout the winter season can end up costing you significant amounts of money every month. Converting your conventional fireplace to a gas unit will allow you to take advantage of inexpensive natural gas. A natural gas will cost much less to fuel than your standard fireplace. As a result, you may find that you and your family members are eager to warm up next the fire throughout the coldest months of the year. When you are creating a new LED lighting design for your home, you may want to shop for show stopping fixtures that are both beautiful and eco friendly. Due to the rise in popularity of LED lighting, many chandeliers and other elegant fixtures are now available with LED bulbs. A contractor that specializes in LED lighting near San Jose will be able to work with you to help you find an LED chandelier that matches your style. There are several factors to consider when you are shopping for a new chandelier that will match your home’s interior. If you are designing a classic home, you will want to pick out a chandelier that has an elegant and timeless look. Your chandelier should also be sized appropriately for the height of your ceiling. Modern chandeliers that feature sleek lines and angular edges are the perfect accompaniment to any contemporary home interior. Lighting is a key element for any interior design scheme. If you want to update the look and feel of your home, but do not want to invest in costly renovations, you may want to consider a new lighting installation. LED lighting can boost your home’s energy efficiency, while also providing you with many different lighting design options. 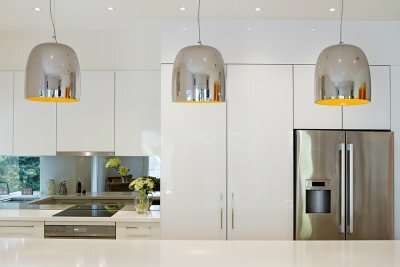 A team of LED lighting specialists in San Jose can help you update all of the light bulbs and fixtures throughout your home. Let’s examine some of the advantages of updating your home’s light bulbs and fixtures with LED models. When homeowners convert their conventional light bulbs to LED units, they are able to save significantly on their electricity bills. By taking the time to switch over your incandescent light bulbs to LED models, you will be able to reduce your lighting energy consumption by 75 percent. Saving electricity will help you cut back on your monthly bills, and consciously reducing your energy consumption is also incredibly eco friendly. If you have ever gotten tired of changing the light bulbs throughout your home, now may be the time to update your conventional bulbs with LED models. LED light bulbs last years longer than any other type of modern lighting. When you install new LED light bulbs and fixtures throughout your property, you will not have to worry about changing your bulbs for many years in the future. LED light bulbs and fixtures are a beautiful addition to any interior or exterior space throughout the home. When you are shopping for new LED lights, you will be amazed at the wide assortment of colors and styles that are now available. From soft blue bulbs to vibrant yellow fixtures, LED lights come in an assortment of colors. A lighting design specialist can help you choose the ideal lighting colors for your home.